The primary purpose of any Tag Editor Application is to correct and sort multimedia files. 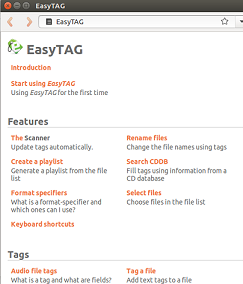 EasyTAG is a feature rich, cross platform, free Audio Tag editor application. It is developed in C language and supports a very wide range of media files formats like MP3, MP2, FLAC, Opus, Speex, Ogg Vorbis, MP4, MPC etc. Here are some of the prominent features of this application. It comes with large number of Tag fields, so you can sort and correct media items on the basis of variety of parameters. You can use Presets and Custom Masks for automated tagging. Ability to read and display header information for tags. It comes with tree based file browser for accessing your media collections. It offers cool playlist generator and undo/redo feature. Its provides Recursion feature throughout subdirectories. Recently, latest version EasyTAG 2.4 has been made available for download and testing. This new version comes with many improvements specially handling empty Images. Let’s see how we can install this latest version on Ubuntu Linux 15.04 operating system. 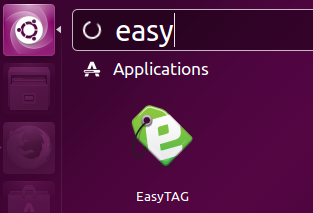 First of all download EasyTAG 2.4 for your Linux operating system from following URL. It will take couple of seconds to complete, here is how the successful completion of “configure” command should look like. Now run following command to proceed further with the installation. 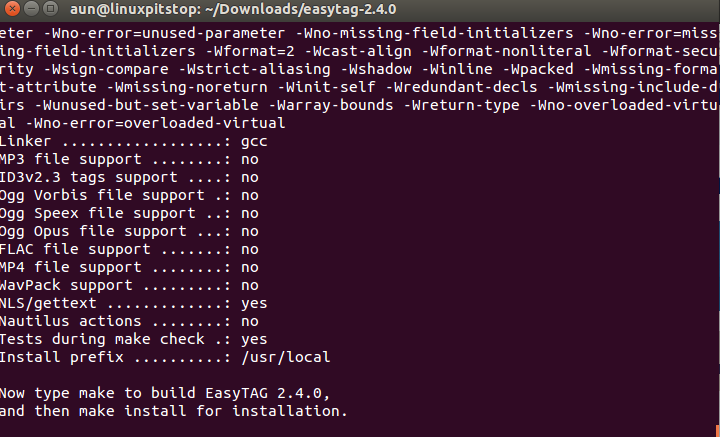 Congratulations, EasyTAG 2.4 has been installed now. Launch it from Applications menu. There you go, starting using this wonderful application. 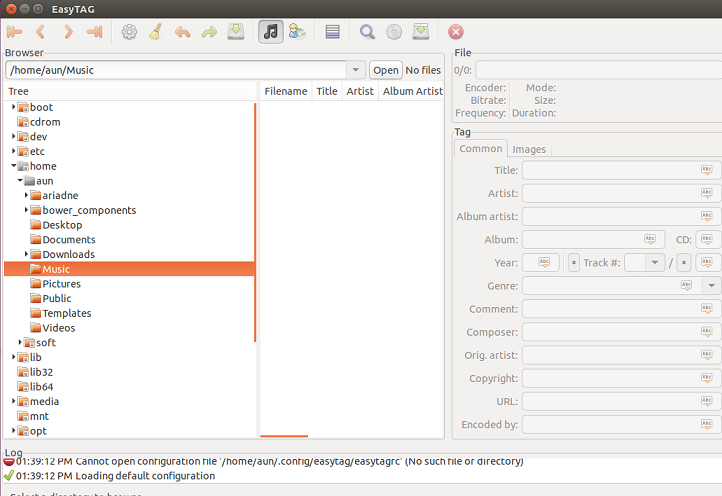 Easy TAG is also part of Ubuntu package manager repositories, so you can easily install it using APT package manager, but please note that it will install a little bit old but most stable version of this application. Simply run following APT command to install it. It is an extremely lightweight, easy to use tool which runs flawlessly on all popular operating systems like Linux, Microsoft Windows and Mac OS. It has been under consistent development and has emerged into a stable application.